Legislative Testimony – Thomas Graham, Jr.
United States Cong. House. Joint Subcommittee Hearing by the House Committee on Foreign Affairs’ Subcommittee on Terrorism, Nonproliferation, and Trade and the Committee on Armed Services. Rose Gottemoeller, Under Secretary for Arms Control and International Security, “Administration Responses to Russian Arms Control Cheating on the INF Treaty Provisions,” Q&A with Representative Trent Franks (AZ). 1 Dec. 2015. United States. Cong. Senate. Subcommittee on Oversight of Government Management, the Federal Workforce, and the District of Columbia of the Committee on Homeland Security and Governmental Affairs. “National Security Bureaucracy for Arms Control, Counterproliferation, and Nonproliferation: The Role of the Department of State.” Hearings. May 15 and June 6, 2008. 110th Cong. 2nd Sess. Washington, DC: GPO, 2009. United States Cong. House. Committee on Foreign Affairs. “Arms Control Nuclear Non-Proliferation Russia and the United States—The START Process.” (Testimony by Thomas Graham Jr., Executive Chairman, Thorium Power Ltd.). 24 Jun. 2009. United States Cong. House. Committee on Foreign Affairs. Nuclear Power and Nuclear Non-Proliferation. Sept. 24, 2005. (Statement of Ambassador Thomas Graham Jr., Executive Chairman, Lightbridge Corporation). United States Cong. House. Bipartisan Task Force on Non-Proliferation. “Limits of Unilateralism.” Oct. 2, 2003. 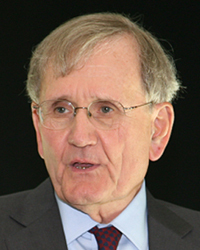 (Presentation of Thomas Graham Jr., Chair, Bipartisan Security Group, program of the Global Security Institute). Parliament of the United Kingdom of Great Britain and Northern Ireland. Defense Committee of the House of Commons. “Updating NATO’s Nuclear Doctrine.” (Written submission by Ambassador Thomas Graham Jr.) Jan. 1999. Canadian Parliament. “Canadian Leadership Will Make a Difference.” before a Joint Meeting of the Standing Committee on Foreign Affairs and International Trade of the House of Commons and the Senate Committee on Foreigh Affairs. Ottawa, Can. (Remarks by Thomas Graham Jr.) 10 Mar. 1999. Bundestag. Subcommittee on Arms Control,Disarmament and Non-Proliferation. Berlin, Ger. (Testimony by Thomas Graham Jr., President, Lawyers Alliance for World Security). 29 Sept. 1999. United States Cong. Senate. Committee on Governmental Affairs. (Statement on Nuclear Non-Proliferation by Thomas Graham Jr.) 3 Mar. 1995. United States Information Agency (USIA) Transcript. “Non-proliferation Treaty Extension.” Foreign Press Center. (Briefing by Thomas Graham Jr.) 13 Dec. 1994. Defense Base Closure and Realignment Commission. (Testimony by Thomas Graham Jr., Active Direcctor of Arms Control and Disarmament Agency). 5 Apr. 1993. United States Cong. Senate. Committee on Foreign Relations. “Ratification of the Treaty on Open Skies.” (Testimony by Thomas Graham Jr.) 11 Mar. 1993. United States Cong. House. Appropriations Committee Subcommittee on Commerce, Justice, State, The Judiciary and Related Agencies. On behalf of Arms Control and Disarmament Agency. (FY1994 ACDA Funding Request by Thomas Graham Jr., Active Direcctor of Arms Control and Disarmament Agency). 17 Mar. 1993. United States Cong. Senate. Foreign Relations Committee. [Second Strategic Arms Reduction Treaty.] (Testimony by Thomas Graham Jr., Active Director of Arms Control and Disarmament Agency). 18 May 1993. The First Committee of the 48th Session of the United Nations General Assembly in General Debate. (Statement by Thomas Graham Jr., Active Director of Arms Control and Disarmament Agency). 19 Oct. 1993. United States Cong. Senate. Foreign Relations Committee. (Statement by Thomas Graham Jr.) 14 July 1993.